Exclusive Download for Media Use: Contact Zojak (media [at] zojakworldwide [dot] com) to request music. 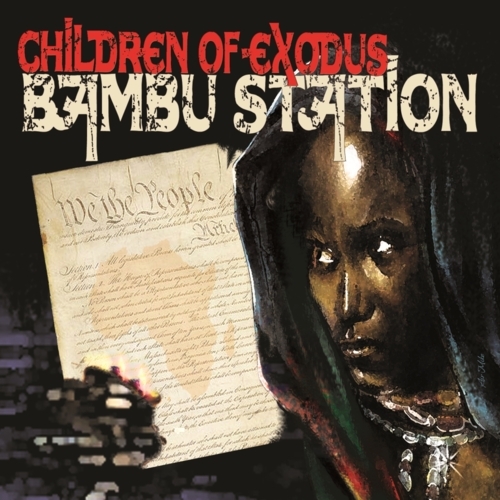 Info: Virgin Islands Roots band Bambu Station is back with Children of Exodus. Featuring the thoughtful lyrics of Jalani Horton, this album is intellectual roots with meaning. The slow yet captivating rhythms create a meditative experience that allows the listener to comprehend the serious messages within. This is truly music with meaning. Bambu Station was founded in 1996 by Jalani Horton of St. Thomas, V.I. to present creative ideas that would impact peoples lives. In 1999, Andy Llanos of St. Croix joined Bambu Station as the bassist and Tuff Lion, with his brilliant guitar work, offered his wealth of experience to help the young bredrens evolve and grow. Their initial recording was the independent single, “Amadou Diallo” (2000) and commenced a musical relationship, with the addition of Warren Pedersen in 2003, that has galvanized roots fans across the world. Several of their releases are some of the most regarded works in roots conscious reggae today.